The third and final day of the Offset conference began with Dublin-based stylist Aisling Farinella on the main stage, writes Pam Bowman. Farinella introduced her work and talked about the importance of collaborating with clients as well as photographers, art directors, set designers, fashion designers, graphic designers, illustrators, artists and more. The core of her work is editorial and fashion-based: Farinella is also co-creative director of Thread magazine, which focuses on Irish fashion design. 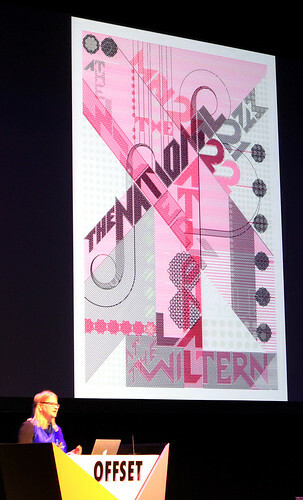 Her talk gave students and young professionals a broad set of examples of what a career in ‘graphic design’ can be. 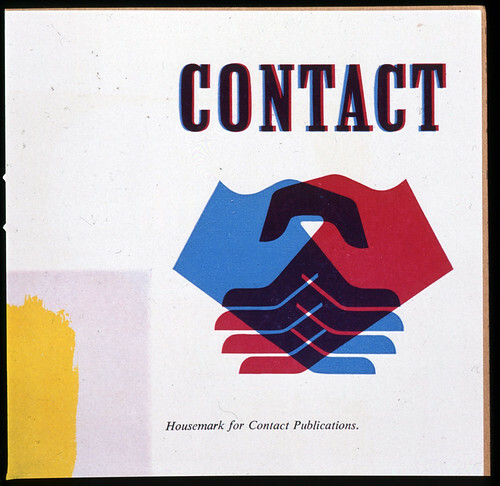 Contact Publications. Design: F. H. K. Henrion, late 1950s. From Adrian Shaughnessy’s talk about F. H. K. Henrion. 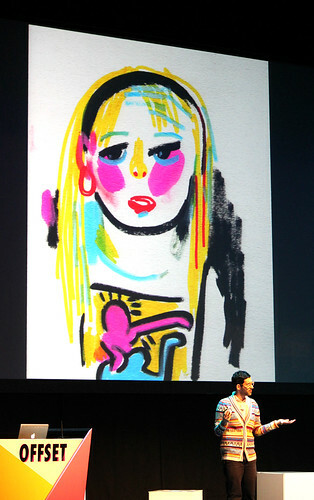 On the second stage, Adrian Shaughnessy of Unit Editions talked about F.H.K. Henrion. 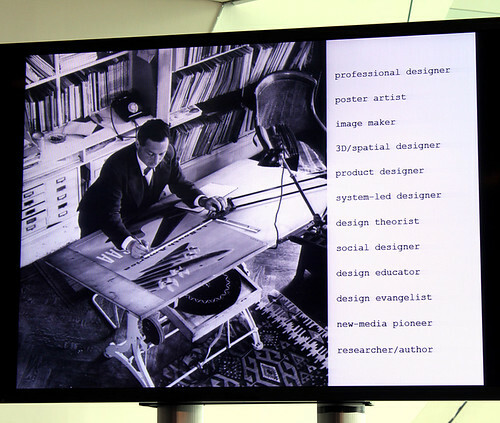 He stated, ‘I came to the conclusion that his range of activities, intellectual standing and depth of accomplishment have no equal in British graphic design, he was in fact the complete designer … He invented the notion of the professional graphic designer.’ Shaughnessy talked about what made Henrion an important figure, including his attention to social design, product design, design education, new media design and design theory. Design studio I Love Dust followed on the main stage. Art director Johnny Winslade and designer Olly Munden talked about their beginnings, lifestyle, lads holidays and projects. And spoke candidly about their Southsea and New York bases, their working processes and team ethic. 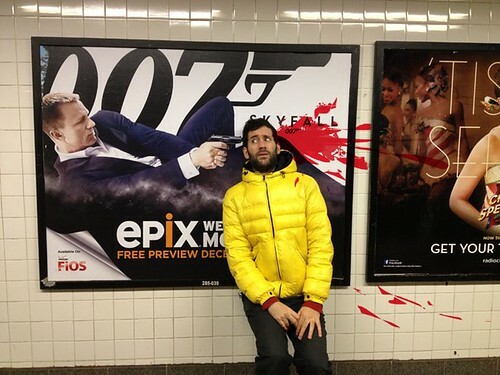 Jon Burgerman’s Headshots project which play with the violence of film posters. Richard Turley, creative director of Bloomberg Businessweek, gave an interesting talk that felt almost like a sales pitch. Turley talked about the process behind the magazine’s cover design, who gets involved and where the ideas come from before talking about his career journey from student magazine project through to The Guardian / The Observer and as art director of G2 magazine. It was interesting to see the complexity of the Guardian grid in detail and for Turley to explain the maths involved to the audience – all delivered with wit, comic timing and encouragement to ‘bite the hand that feeds’. See ‘Taking care of business’ in Eye 80 and ‘“X” marks the spot’ on the Eye blog. 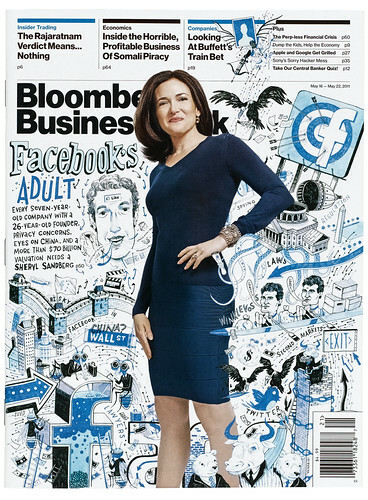 Cover of Bloomberg Businessweek, creative direction by Richard Turley. Well known to conference stages worldwide, Marian Bantjes talked in detail about her projects – her process, obsessive tendencies and her desire to ‘do something impossible’. Bantjes listed her influences as Herbert Matter, Milton Glaser, A. M. Cassandre and Jan Tschichold, among others, and concluded by speaking about her new book Pretty Pictures (see Mark Porter’s review on the Eye blog). 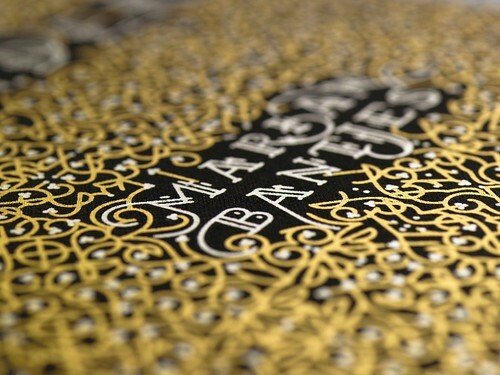 Cover detail of Marian Bantjes’ I Wonder. 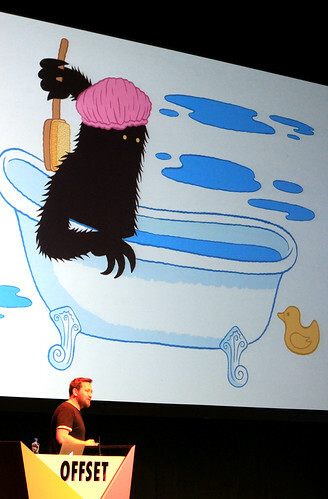 ‘Digital content creator’ Jeff Greenspan, who has worked in advertising and for Facebook and Buzzfeed, presented his ‘side-projects’. He told a story about being held up at gunpoint when he was 25 and how it changed his outlook. He insisted, ‘Find your own voice and speak with it very loudly … Stay visual, be clear and surprise.’ His projects work to change people’s behaviour. 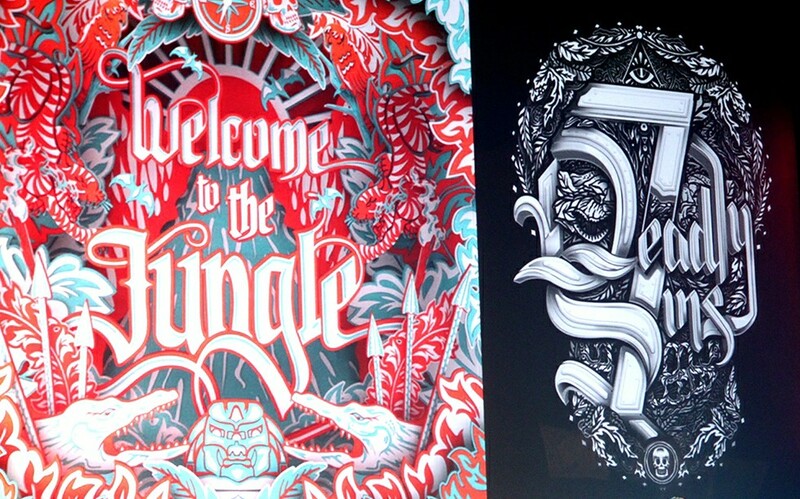 Offset 2014’s final speaker was Irish illustrator Chris Judge, known for his ‘Beast’ series of picture books. Jeff Greenspan’s person work often leans towards activism. 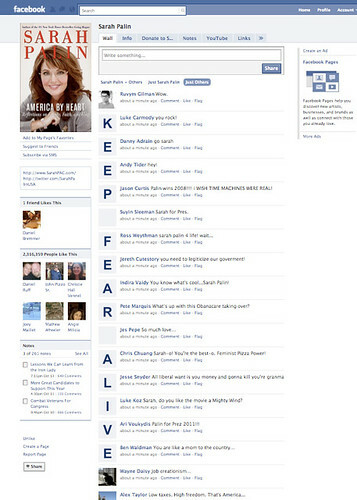 This ‘letterbombing’ project uses Facebook user profile pictures to imprint on politician’s pages. 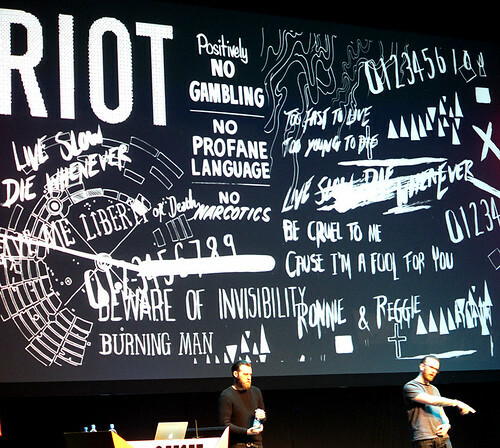 Offset 2014 in numbers: 1650 Irish delegates, 850 international, of which only 350 came from the UK. Of the total figure, 700 were students and a large proportion of the audience were young and early-career designers and illustrators. The emphasis of many of the talks was the importance of play and personal projects to balance with professional, income earning projects. The Offset archive, with videos going back to conference in 2009, is available on the website and includes talks by some of the most celebrated and respected designers today. Chris Judge showing his character the Beast.